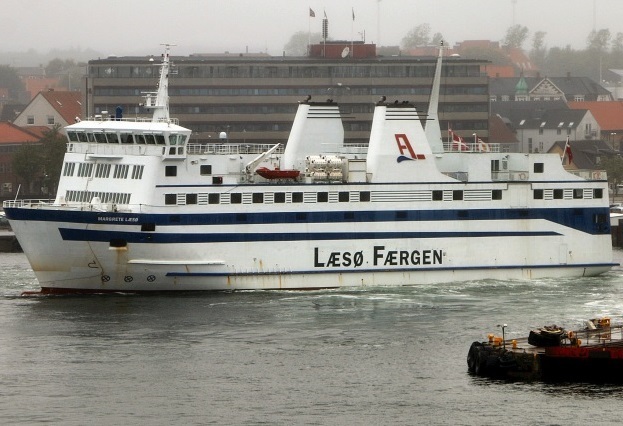 The ferry Margrete Laeso allided with pier at Frederikshavn, Denmark. The vessel was leaving the port bound to Vestero, but after engine failure slammed on northernmost tip of the new pier with her bulbous bow. The ferry returned by own power to the dock, where disembarked all the passengers without reporting injuries. All of the passengers were rebooked to another ferry for their voyage to Vestero. The ship Margrete Laeso suffered some damages in the bow section and was docked at Orskov Yard for repairs and surveys by the Danish Maritime Authority and the classification society. 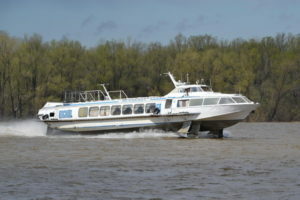 It was estimated that ferry Margrete Laeso suffered only slight damages and returned in service. The local authorities started investigation for the root cause of the accident. The collision happened during the change of control from the bridge wing of the ferry Margrete Laeso to the center officer. Moreover, a technical failure caused stop of one propeller, which worsen the situation. Obviously the duty officer and skipper were unable to maintain the course and allided with the pier. Shortly after the accident, authorities also inspect the damage to the new pier head. They found that one of the large pipes that were keep the bulkhead was broken under the pressure. Divers were sent to examine the damage and pier was closed until repairs. The ferry Margrete Laeso (IMO: 9139438) has overall length of 69.00 m, moulded beam of 16.00 m and maximum draft of 3.00 m. The deadweight of the vessel is 480 DWT and the gross tonnage is 3,668 GRT. The ship was built in 1996 by Nordsoevaerttet in Ringkobing, Denmark. The owner and operator of the ferry is Laeso Faergeselskabet.